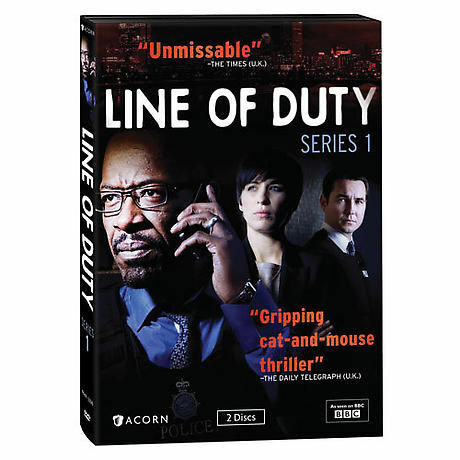 Detective Chief Inspector Tony Gates (Lennie James, The Walking Dead) is an exemplary cop. He's got the best crime figures on the force and a loyal team working under him. But the head of the police anticorruption unit, Superintendent Ted Hastings (Adrian Dunbar, Ashes to Ashes), has his doubts about Gates. Is he really that good? And more importantly, is he really that clean? Hastings decides to find out and calls on a new arrival to his department, Detective Sergeant Steve Arnott (Martin Compston, Monarch of the Glen), to help him do it. As the net tightens around Gates, reputations are on the line-and lives are at risk. 5 episodes on 2 DVDs, approx. 305 minutes, SDH.